Making and sharing nutritiously delicious creations that bring health and happiness is my jam. Since graduating with my Community Health degree nearly 5 years ago, I’ve been working with Ooooby (Out Of Our Own Backyards) to deliver hundreds of boxes of local, organic fruits and vegetables throughout the Central Valley. Ooooby also offers local artisan products, which is why the idea of offering one of my own products came to mind. At first, I thought I would only package the granola for Ooooby customers, until many others tried it, loved it, and wanted more. It’s now available in a handful of local coffee shops, markets, and cafés. Thank you for visiting tasteND.com. I hope you enjoy the ‘Nolas! 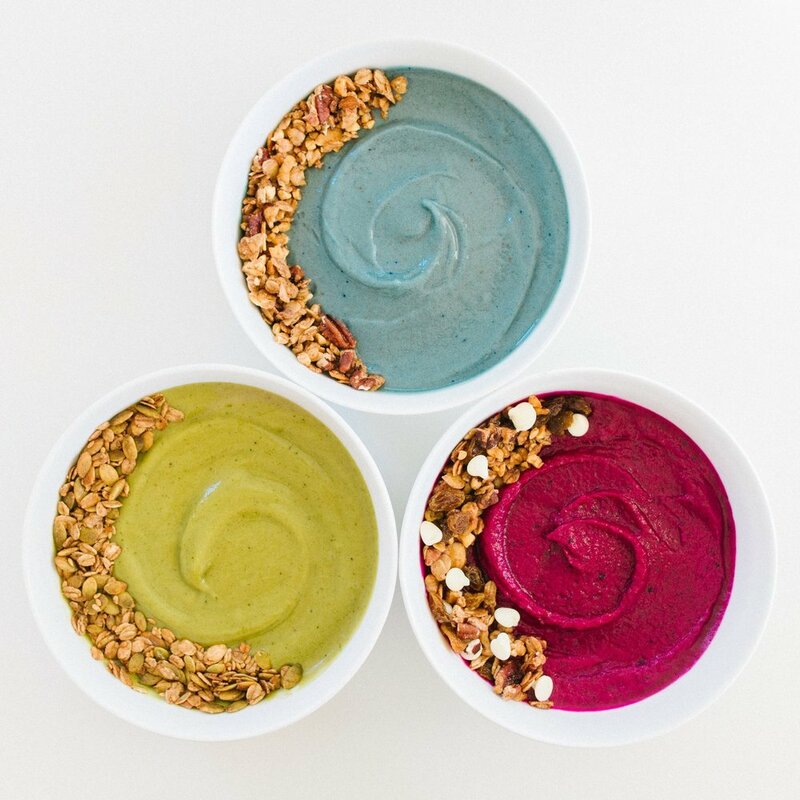 Smoothie bowls, chia bowls, and parfaits are just platforms for delicious toppings like granola, right?! For a few years, I would gift homemade granola filled Mason jars to friends and family during the holidays. Fast forward to now and I’m happy to offer this granola with a lot more people than just a few loved ones once a year. The Nola’s are made in small batches and can be found on the shelves of several local markets, coffee shops, and on this site. I'm proud to share a snack/breakfast topper that is made from simple, wholesome ingredients. Enjoy a generous sprinkle on your smoothies and parfaits, or simply by the handful!